Earth is the ultimate prism. Every green plant captures a different wavelength of light and energy from the sun. Spectrum Greens is a beautiful collection of juices from sea plants, field grasses and garden vegetables. 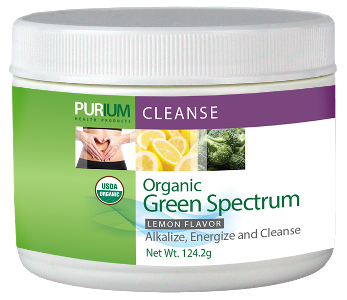 This product will alkalize your body, build up your blood, and cleanse your cells. 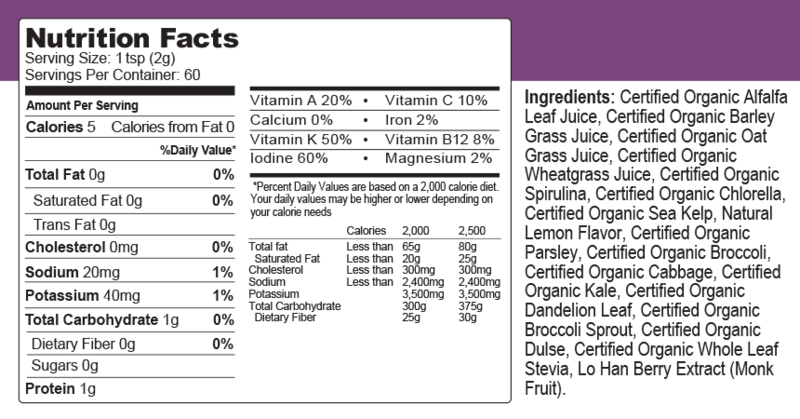 Instructions: Mix 1 Tsp with 8 to 12 Oz water or juice or water one or two times daily.